Luckily the topic for this post is for “craving”. 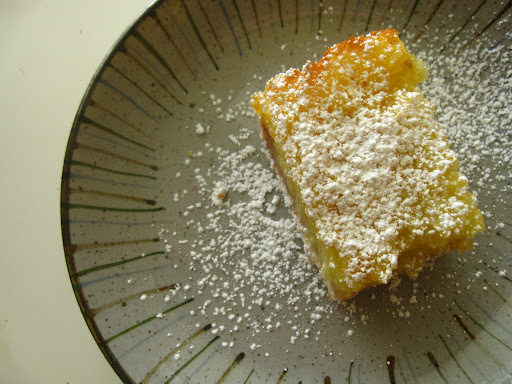 That particular craving was for lemon squares. 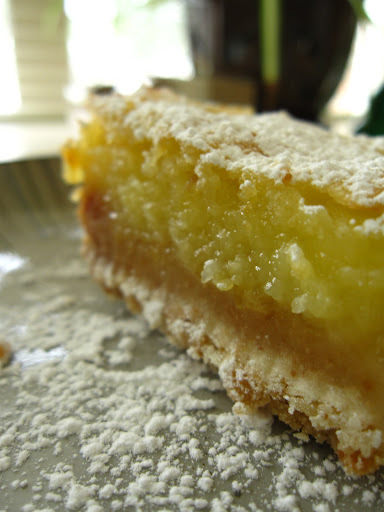 I admit, I’ve never been a huge fan of lemon bars. They’re either too tart, too sweet or too artificial. Just…”too”. I like a good balance of lemon flavour but at the end of the day, it’s still a dessert and I want it to be sweet. So on a recent transit ride, I opened up my Epicurious app (love it!) and went searching for an appropriate recipe. Nothing too heavy (egg yolks). Nothing too sugary. Something easy and with ingredients I already have at home (sorry thyme-infused custards). The recipe that fit the bill was the lemon coconut bars – a simple lemon custard on top of a crunchy coconut base. Two of my favourite things! As always, I read the reviews – the Epicurious ones are great because the reviewers spare no detail in what they found worked, didn’t work and what they would change. Almost unanimously, the reviewers said to double the custard (no problem there!). This is a significant deviation from the recipe and without the careful advice of my fellow bakers, I would have thought my lemon custard to be quite thin. So if there is an opportunity – read the reviews! The bars came out perfectly and to be honest, I had scoffed down a portion before I remembered to put on the icing sugar. As always – the cooling & setting (thus, waiting) is the hardest part! I recommend making this in the morning, let it sit while you do your errands and enjoy this with a cup of tea in the afternoon. Give it a try! Recipe here.